You don’t have to live with chronic pain. 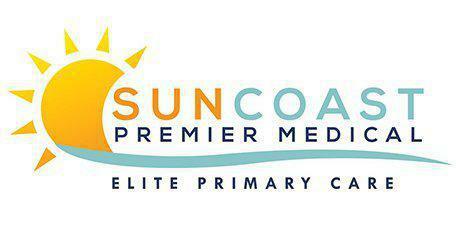 Dr. Mario R. Perez is a primary care physician at SunCoast Premier Medical, with locations in Clermont and Davenport, Florida, who first diagnoses the reason for your pain and then develops an effective treatment plan to get you moving again. Make an appointment with this skilled internal medicine specialist for relief from your chronic pain issues. Most people expect pain when they’re ill or following an injury. They also expect the pain to go away once the injury heals. Chronic pain, however, goes on for months and sometimes even years. It can interfere with routine activities such as doing household chores, getting to work on time, or participating in social activities. Chronic pain can also affect your psychological health by dampening your overall enjoyment of life. What Does Chronic Pain Feel Like? The character or nature of the pain may hint at the reason for the pain. For instance, burning pain or an electrical shock sensation may signal nerve damage related to diabetes. A constant aching in your knees may be the result of osteoarthritis while pain traveling from your neck into your upper arm may indicate arthritic changes in your spine. What are Treatments for Chronic Pain? The first step in treatment for chronic pain is determining the cause of your symptoms. This includes a comprehensive physical exam and a careful review of your past medical history. Dr. Perez also asks detailed questions about the type of pain you’re having, such as when it began and what it feels like. Diagnostic studies, such as X-rays or blood work, are also valuable tools that Dr. Perez may recommend to help pinpoint the cause of your pain. Otherwise, treatment for chronic pain is multifaceted and depends upon the condition causing your pain. For arthritis, Dr. Perez may prescribe anti-inflammatory medications, physical therapy to improve your strength and flexibility, or referral to a rheumatologist or orthopedist for further evaluation. Because chronic pain can affect your mental health, causing you to feel angry, frustrated, or depressed, Dr. Perez may also prescribe an anti-depressant. Fibromyalgia also responds well to antidepressants.